A great start to GEW UK 2011 and although I have been enjoying the National Health Service experience today by proxy, I did get a chance to have a limited browse at the Government’s contribution on launch day. At last we seem to have a coherent enterprise promotion strategy developing and that alone is worth celebrating. and easy to navigate but just how useful for both students and teachers remains to be seen. It does seem to have taken the best of the Teacher.net enterprise education pages and made them more user-friendly. When you dig beneath the surface a little, it still looks very much like a government website but as with all my comments here today they are a little superficial. Improvement Service” website looks a little Freudian if you abbreviate it to GIS. The stock corporate images dotted all over the latter site (in particular) are all rather late 20th Century and give it a very dated look. I will give both a rather more in-depth assessment over the coming days but my initial impression is quite positive. sustainable business models and need, literally, the smallest of support from the Government to roll the programme out to all Premier League and former Premier League club community programmes. I’ll say more on this initiative also, at a later date. So, a good effort from the Government to get us started but for me, GEW starts today at the Go Global conference on the Southbank. Global Entrepreneurship Week (GEW) 2011 starts on Monday and despite the uncertainty earlier this year over who would organise the UK contribution, Youth Business International has done a superb job in a very short amount of time. More than 1,800 events have been registered so far and I know from experience that a huge surge in event registration is likely to take place over the next few days. A visit to the website reveals a wide range of different activities from large scale conferences to inspirational talks from local business role models. There is a huge amount of really practical help available from business support organisations of all sorts and a strong contribution this year from H.M. Revenue and Customs on taxation matters for small businesses. The largest numbers of events can be found in London and Northwest England but most regions of the United Kingdom have well over 100 events to choose from. Online, the Global Innovation Game is the official enterprise game for GEW 2011. Played on Facebook, participants solve problems to global challenges whilst promoting social action. The National Centre for Entrepreneurship in Education (formerly the NCGE) has practical advice and support with an online question and answer session. Or if you want to know about creating dedicated online communities, the Chartered Institute of Public Relations (CIPR) may have just the webinar for you. export or sell overseas. And on Thursday and Friday, the Business Startup Show opens its doors at Earls Court 2. Get One, Start One! Youth Enterprise Conference on Friday, thanks to Babbasa Youth Empowerment Projects. Or if you are in Ely and just want to do a little networking on the way home, why not pop into The Cutter Inn for one of the Cambridgeshire Chamber of Commerce’s informal networking drop-in event on Monday? 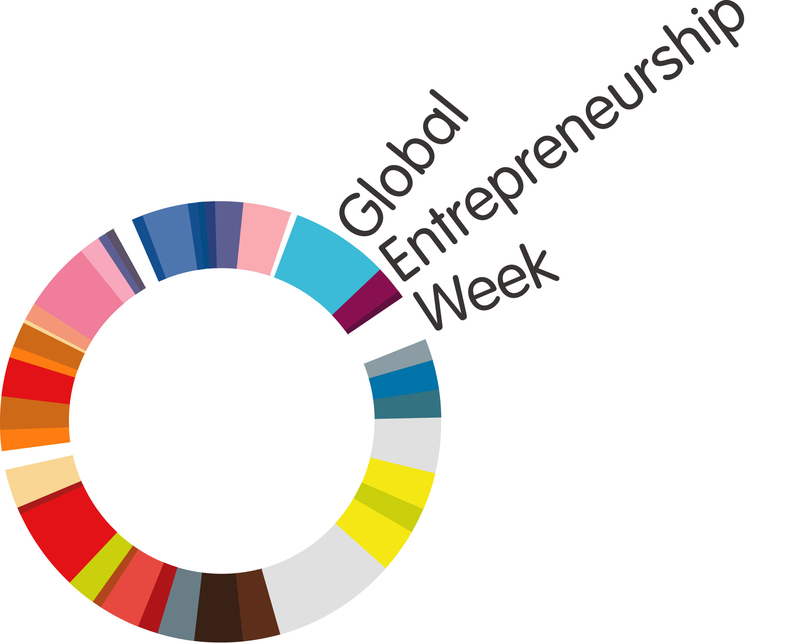 Wherever you live there’s lots to do next week; so support GEW UK and have a look here for an event near you. Happy GEW! their customers, hoping that they will not be seen for what they are. problem with two short case studies; the first is London Underground (LU), and the second direct mail service providers. after a period of disuse and switch on again when a customer treads on the sensor plate at the bottom of the escalator but that is not really the point I am trying to make. Whilst LU brags about the environmental drive behind the measure, it seems to miss the glaring irony that will strike passengers as they ascend to ground level – banks of LED monitors replacing the old cardboard advertisements that grace the walls alongside the escalators. I struggle to find an economic advantage in the use of LED monitors as advertising boards but accept that there might be. What hits home hardest about this is the environmental impact – LED monitors are not “green”, they are power hungry boxes of hazardous environmental waste – and LU is installing hundreds (if not thousands) of these things just to show a few uninspired advertisements to passers-by. mailing lists should not be that difficult in the age of the computer but few direct mail service providers seem to bother. The cost to their customers in unnecessary printing, packaging and postage is ignored to boost their own profit margins. But small businesses beware your direct mail service provider may be costing you more than you think, through even sloppier practices. My case in point – receiving three copies of the same catalogue addressed to somebody who has never lived at my address. The unnecessary catalogues were printed, packaged, posted and now recycled all at a cost to both the small business owner and to the environment. I cannot be the only person on the direct mail service providers’ lists who apparently has three unknown individuals living with them and all with the same name – so just what is the scale of the impact on the environment of this sloppy practice? CSR needs to be taken seriously and we need to be proactive in challenging those organisations who through either ignorance or cynicism flaunt CSR and environmentalism to the detriment of us all. Standard & Poor’s continued rating of the British economy as AAA is quite possibly the last piece of economic good news we will receive this side of the new financial year. The importance of this assessment cannot be underestimated and signals that the other major credit rating agencies will rate our economy similarly. This does not mean that we can rest on our laurels; we have a very difficult time ahead and too many external factors dragging on our economy, to give us any certainty that our actions alone will be enough to avoid further recession. The infantry in Britain’s battle for economic revival is the small business community and ultimately the government is relying on them to ignite national economic growth. But in the light of continued failure by the banks to revitalise credit lines to small businesses, Flatline George has announced “plans” for government “credit easing”. This is all very well, except for the fact that there is no plan – it is simply the announcement of the intention to develop a plan. So as businesses face the bleakest Christmas in more than a generation, the implementation of measures to support them will not happen until comfortably into the New Year. What is also worrying about this is that the credit easing system, once developed, may also be used to support large businesses in the event of a further credit crunch. Let there be no mistake, big business is surviving not thriving and it is they that the government will ultimately prioritise when times become harder. So where will small businesses stand? tail. 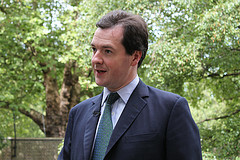 And there is scope for a sting from this proposal – the government would have to borrow to fund it; the debt would not be classed as a debt but as liquid assets; and, whilst in the short term credit easing measures could even improve public finances a little, in the longer term we will liable for any losses incurred through the scheme. So whilst we enjoy our continued triple-A rating, both keeping it and enjoying the benefits of it are far from guaranteed and our frontline is still woefully ill-equipped. And in the meantime, we must consider carefully the details of the Chancellor’s credit easing plans as they become available. 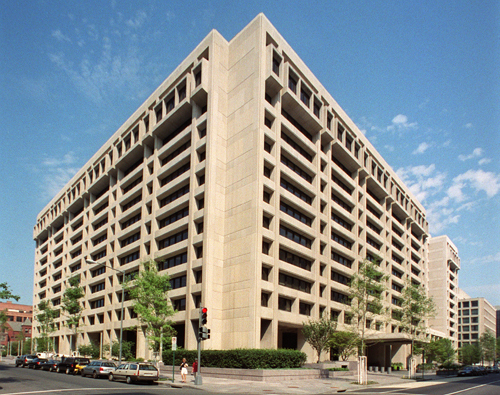 The IMF is seeing things – dead economies. On the one hand I was reassured that it is joining me in raising concern that a double-dip recession is becoming more not less likely but on the other, I wish that they had seen signs that I was wrong. Look, I’m not a qualified economist (although 30 years in one of the country’s key economic ministries may have given me a little more insight than the average man on the street) but does it really take a degree in economics to understand the key issues affecting the global economic landscape over the last year? I don’t think so. It is clear that debt reduction and cost-cutting must continue but it really does look like the current levels of both are stifling what little economic growth we might have expected. The simple fact is that if businesses cannot sell and people are not buying, growth will remain elusive. However, Flatline George is not for turning and there will be no ‘plan B’. Well maybe not but ‘plan A’ seems to have a new annex – bringing forward hundreds of millions of pounds of infrastructure spending. New roads to half-full trading estates or bankrupt and empty construction sites do not fulfil their potential. Building new higher-speed railways along the western side of the country whilst the eastern side retains miles of quaint pre-Beeching infrastructure is just foolhardy. The point here is that unless infrastructure projects bring real long term benefits to the communities they serve, they are simply short-term job creation schemes – mere sticking plasters on a gaping economic wound. America is about to sneeze and the Euro Zone already has flu. The months and years ahead will be incredibly difficult, without doubt. But stubbornly refusing to revisit ‘plan A’ and careless use of infrastructure funds will only leave us more vulnerable and prolong the misery of economic stagnation or recession. Last year the government used Global Entrepreneurship Week (GEW) to launch its challenge of making this “the most entrepreneurial decade ever” and acknowledged that the need to develop a strong enterprise culture has never been more important. Successive governments and (to a broad extent) business have recognised that the UK provides a strong environment in which enterprise can thrive. But business start-up rates have stubbornly refused to reflect that environment, with the British public believing that starting a business is both more difficult and more risky than in fact it is. Our fragile economy and jobs market is clearly not going to rise spectacularly and phoenix like any time soon. Our existing businesses are already questioning just how far private sector job creation will go towards filling the employment gap. This should encourage us to redouble our efforts to promote entrepreneurship. It should also encourage us to consider carefully what the key enterprise trends are and how they should influence the way we promote and support entrepreneurship at home and abroad. Get this wrong and we could seriously damage our recovery and longer term economic success. There are two major events on the horizon providing high-profile opportunities to ask the big policy questions surrounding enterprise promotion – European SME Week (3 – 9 October) and Global Entrepreneurship Week (14 – 20 November). By asking these questions, we can help to ensure that the UK has the right enterprise strategy at home and abroad to realise this decade as the most entrepreneurial ever. or on Bdaily Business Network. The horror felt by us all, as the events in the US of ten years ago were beamed around the world on TV, will never leave us. That day, evil triumphed and the terrorists had their moment. The following military response, whilst controversial, has achieved much of what it set out to achieve – Bin Laden is gone and the abilities of his Al-Qaeda have been severely impeded. Whether or not the West has learned from the underlying foreign policy mistakes of two generations remains to be seen. But today is not the day to focus on such things. Today, we should remember those lost in the attacks on September 11th 2001 and celebrate what the citizens of the US have achieved in the time since. The very spirit that made the US the formidable nation it is today is alive and well. The determination of those involved in rebuilding the World Trade Centre, that the US will remain “the land of the free,” is enviable and should be applauded. This is the attitude that will carry the US forward through the 21st century and ensure that its people continue to live the dream. Watching “The Rising: Rebuilding Ground Zero” has been truly uplifting – from the stories of those rebuilding their lives, to the entrepreneurial determination of people like Larry Silverstein, to the symbolic sentimentality of the replanting of the survivor tree. And the sheer beauty of the new World Trade Centre will ensure that it becomes one of those places that we will all want to go to at least once before we die. The only grey cloud on the horizon today is the “credible threat” of terrorist activity, attempting to undermine the celebration of triumph over adversity – the threat must not be allowed to be realised; today belongs to New York, to the survivors and to the innocent.